1. Cook pasta according to the package directions. Drain pasta, and then lightly coat pasta with cooking spray. Set aside. 2. Heat a skillet over medium-high heat. Coat pan with cooking spray, and sautee onion, garlic, and ground beef. Cook until beef is cooked through and onions become semi-transparent. 3. Add tomato sauce, 1/2 teaspoon salt and pepper. Cook for 2 minutes or until most of liquid evaporates. 4. Add pasta to beef mixture in pan, stirring to combine. 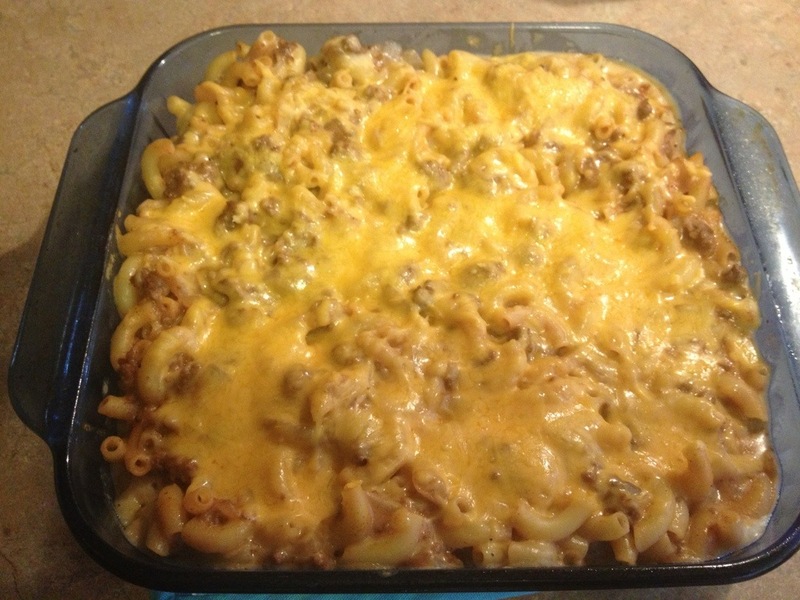 Spoon pasta mixture into an 9X9-inch baking dish coated with cooking spray. 5. In a small/medium sauce pan, mix milk, flour, nutmeg, and remaining 1/2 teaspoon salt. Whisk ingredients together over medium heat, until well blended. Stir constantly with a wisk until mixture thickens. 6. 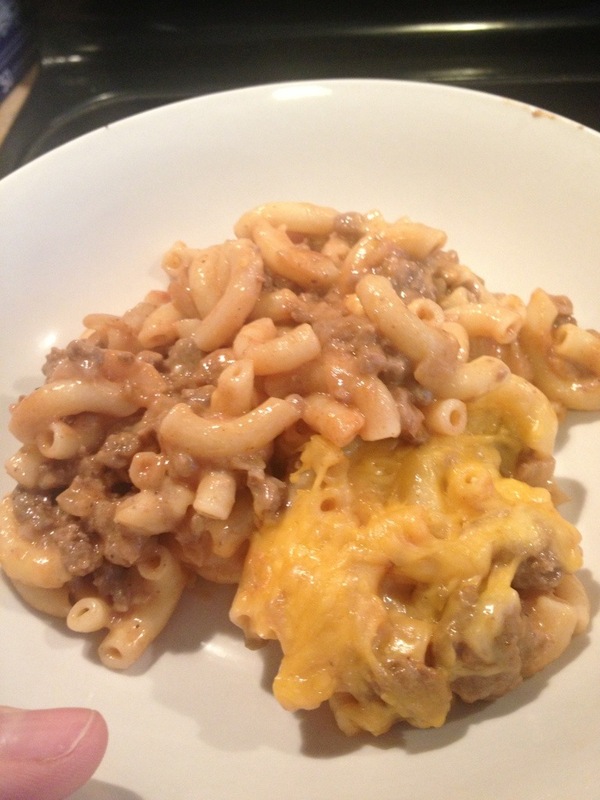 Once mixture has begun to thicken, add 1 cup cheese, stirring until smooth. Pour cheese mixture evenly over the top of the pasta mixture, And stir it all around a little. Top evenly with remaining 1/2 cup cheese. Bake at 350° for 20 minutes or until lightly browned. Let stand 5 minutes before serving. This “let it sit” part is important. This stuff is 1. molten-lava hot when it comes out of the oven, and 2. in need of some room-temp thickening. So, hold your horses here and give it 5 minutes 🙂 Enjoy.